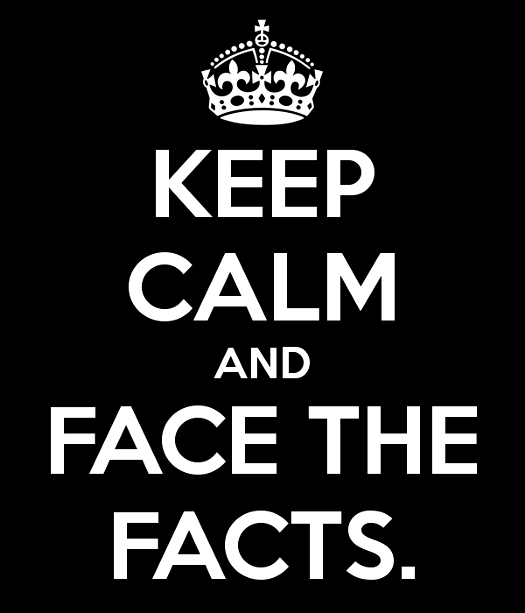 The British Gazette » Brexit: Keep Calm & Face the FACTS! The journos at the Guardian are feeling rather chirpy due to the general bonhomie abroad in Comrade Corbyn’s Labour Party right now. It appears that dear old Comrade Corbyn is going to declare that he is a Prime Minister in waiting and his colleagues will be that government in waiting. Note to Jeremy: Be careful what you wish for! You might get it! The FACT is that were there to be an election called today, Labour would have an excellent chance of securing a majority in the House of Commons and thus forming the government. Along with speaking The Truth unto the Nation, the British Gazette prides itself on giving credit where credit is due. One of Comrade Corbyn’s good decisions was to appoint The Right Honourable Sir Keir Starmer KCB QC MP, Shadow Secretary of State for Exiting the European Union on 6th October 2016. Sir Keir is clearly a far better pair of hands than the present incumbent of the office he shadows, Mr Davis! Undoubtedly, Sir Keir will upon receiving his seal of office will waste no time at all in seeking from M Barnier that gentleman’s good offices for an extension of time under the Article 50 process. Presumably the request will be to “reset the clock” and to grant an additional two years – to make up for the time the Tories have already wasted. One can be fairly confident that, were Labour to have an effective majority in the Commons, the EU 27 would agree, were M. Barnier to give this his full support. What this would do is to is to give the UK the vital two years in order to conclude an agreement. Given this it is important to understand that NOTHING will have changed. That Flexcit, aka “the Norway Option”, aka EFTA+EEA is the ONLY doable, practical Brexit strategy! Now, given the Europhila on the Labour benches British Gazette readers might conclude that this was not a problem! They may very well be mistaken however! This is because dedicated socialists, Comrades Corbyn and McDonnell are keen (as are many of Labour’s hundreds of thousands of members) to adopt “good old traditional socialist policies such as nationalisation, or in their case, re-nationalisation. There is however a problem: membership of the Single Market makes this difficult! Thus, in the still hypothetical situation of a Labour government, we could have Comrades Corbyn and McDonnell asking for much the same as Madame Mayhem and Dummy Davis! Were this to happen we could encounter a no deal “Hard Brexit” under Labour! A more likely scenario is the EEA+EEA aka the “Norway Option” or Flexcit! Thus a whole lot of Labourites are going to be terribly disappointed as much of the manifesto will not be able to be implemented!